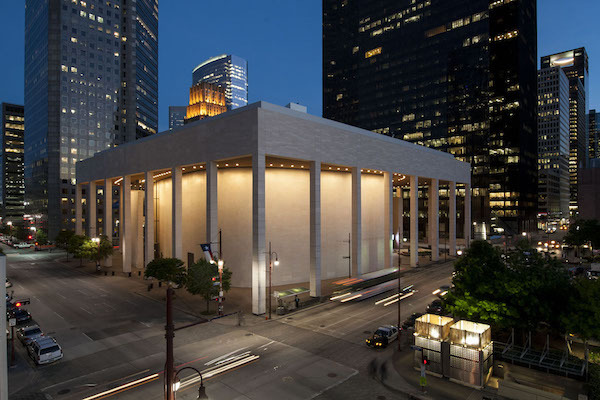 Let’s say you have an architecture-loving friend coming to Houston for the weekend. You want our hometown to be seen in the best possible light. 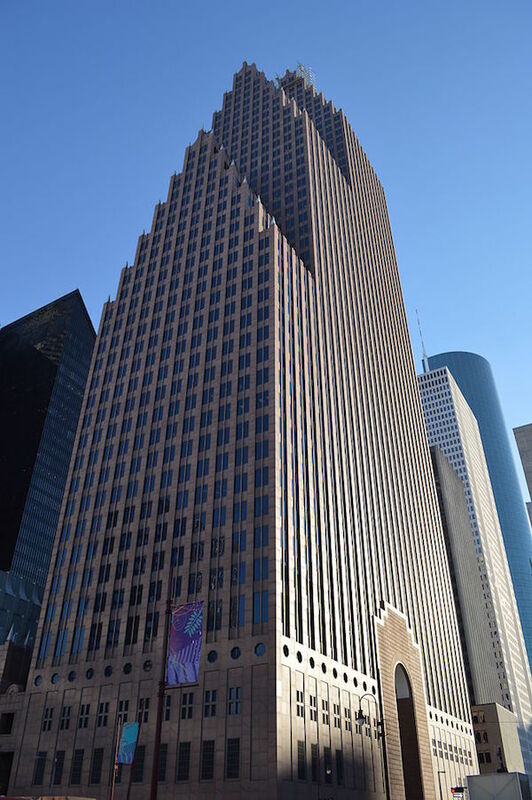 What buildings would you choose to represent Houston? Would you do a Heights crawl, street by street? Include the Astrodome? Visit the Beer Can House? 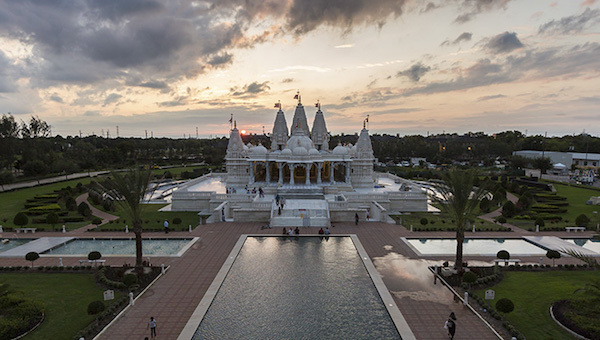 Drive out to Stafford to view the astonishing BAPS Shri Swaminarayan Mandir Hindu temple (photo below)? 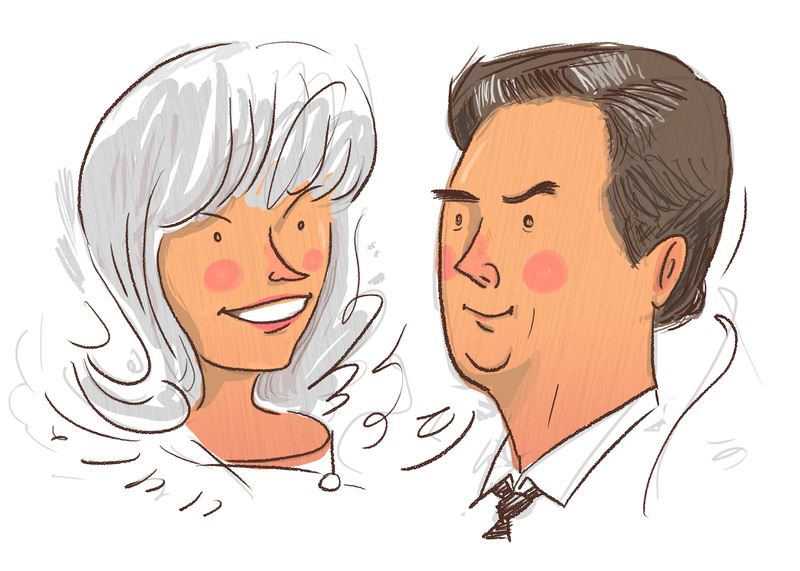 I’ve rounded up the Houston landmarks where I would take out-of-towners for a Houston architectural tour. These are not necessarily the most historically significant or biggest or baddest buildings in town. They’re simply my favorite 15 crush-worthy structures. A note: The best possible way to see the historic side of downtown Houston is to leave the car behind and take one of Buffalo Bayou Partnership’s twilight pontoon boat tours. Click here for details. 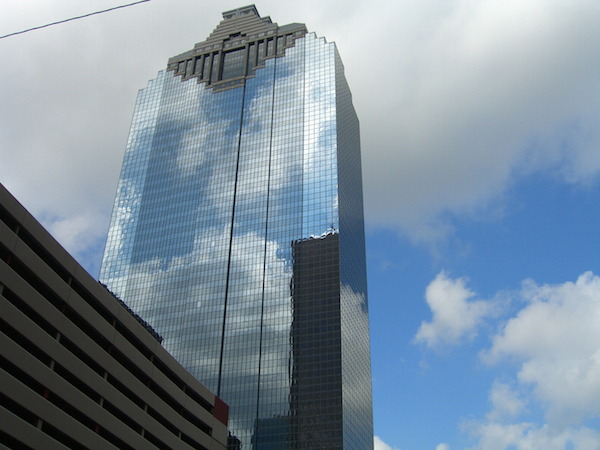 1 – The Julia Ideson Building (photo below), named for the city’s first professional librarian, is adjacent to the Houston Public Library downtown. Go inside to fully appreciate the historic detail. 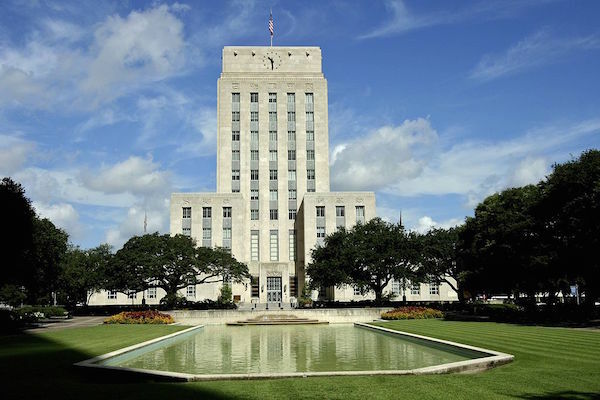 2 – Houston City Hall (photo below), an Art Deco government building designed by Joseph Finger and completed in 1939, is fronted by the Hermann Square reflecting pool. 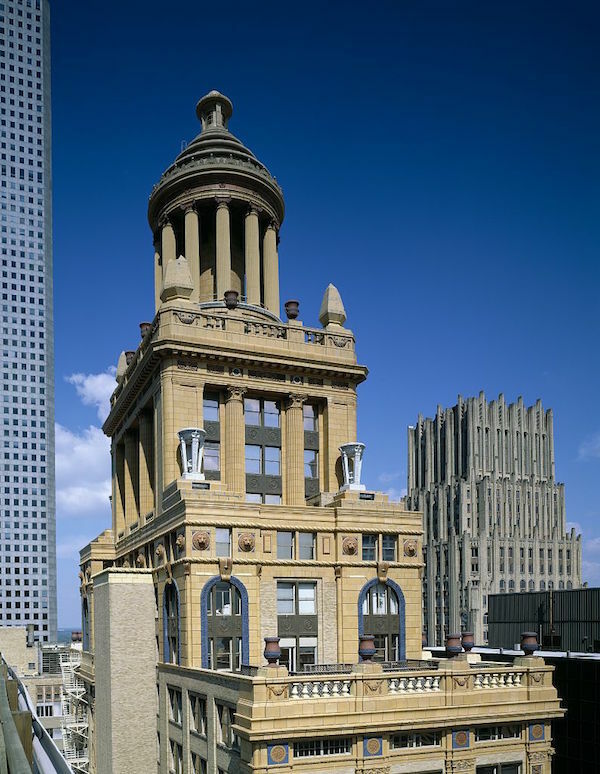 3 – Like the Julia Ideson Building (#1), the Niels and Mellie Esperson Buildings (photo below) are an example of a historic structure (in this case, Italian Renaissance style) surrounded by Houston’s downtown skyscrapers. 4 – Bank of America Center (photo below) – known as RepublicBank Center when completed in 1984 – was designed by Philip Johnson and John Burgee. The narrow step-up design is meant to suggest the Dutch Gothic architecture of the canal houses once commonplace in The Netherlands. 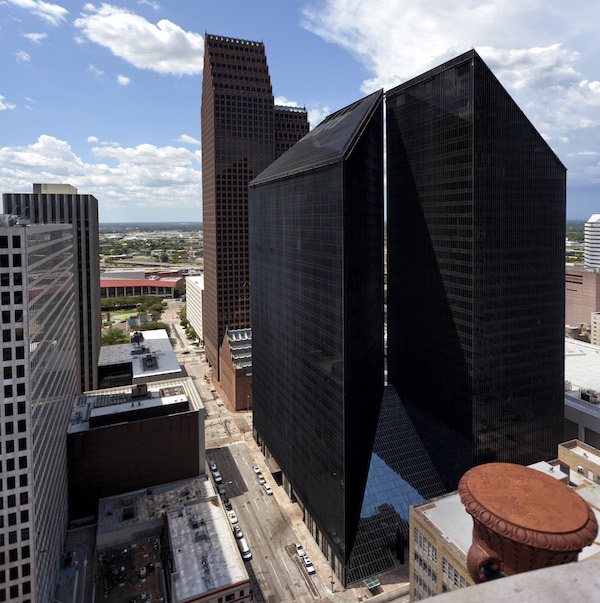 5 – Pennzoil Place (photo below) was completed in 1976 and designed by Philip Johnson and John Burgee. The 36-story twin towers make it seem like two buildings separated by a 10-foot space. (They are actually connected at the ground level.) It was developed by Gerald D. Hines. 6 – Heritage Plaza (photo below), designed by architect Mohammed Nasr, looks like a Mayan temple erupting out of a postmodern glass-clad skyscraper. Very exciting! 7 – Jones Hall for the Performing Arts (photo below), designed by Caudill Rowlett Scott, opened in 1966. 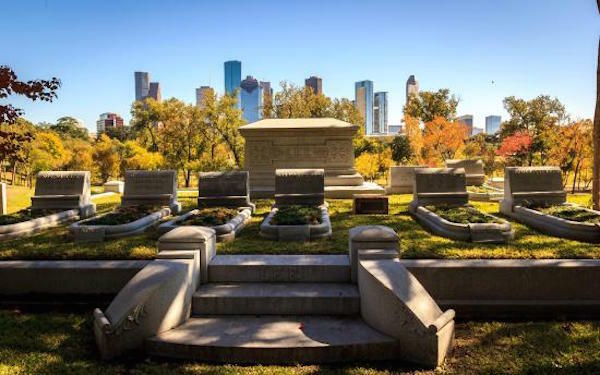 It’s named for Jesse H. Jones, prominent Houston philanthropist. I love coming here from street level (rather than underground), for the eight-story tall columns and massive overhang. 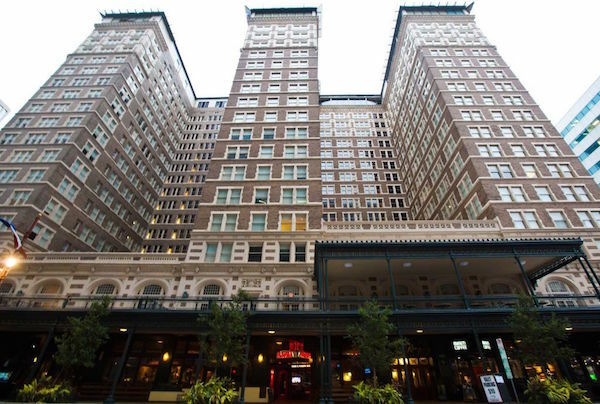 8 – The new Rice Hotel building (photo below) opened on May 17, 1913. This historic hotel now serves as an apartment building known as The Rice Lofts and has several street-level bars and restaurants. 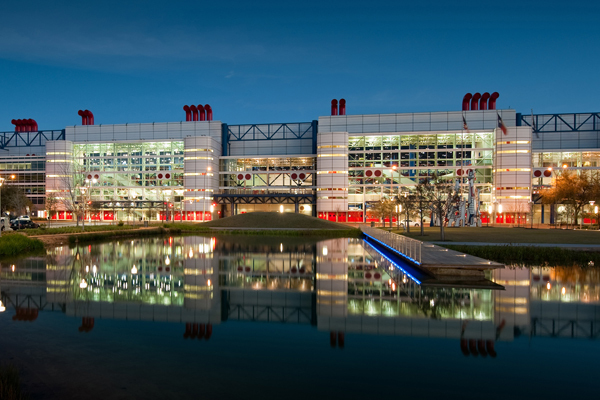 9 – George R. Brown Convention Center (photo below) is named for George R. Brown, a civic leader whose Texas Eastern Corporation donated six of the 11 blocks on which the center sits. With its red, white and blue design, it always reminds me of a luxury steamship. 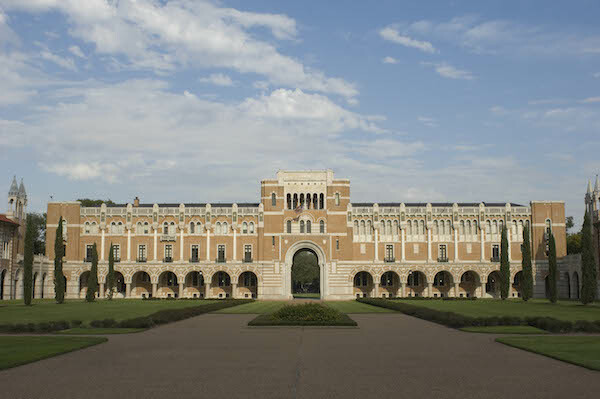 10 – Lovett Hall (today the Rice University administration building, photo below) was built in 1911. 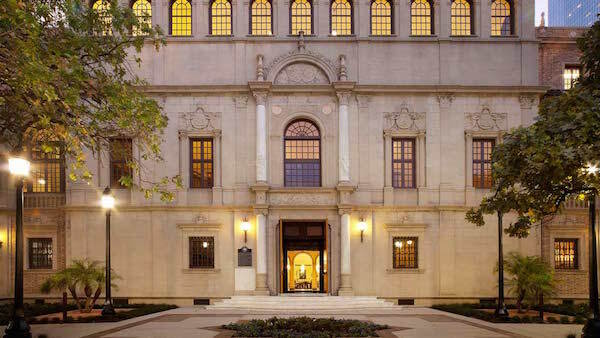 It’s named for Edgar Odell Lovett, the young chairman of the Princeton Astronomy Department, who was brought to Houston to guide the formation of Rice University. Tradition has it that every incoming freshman enters the university through the Lovett Hall sallyport on his or her first day. They are not supposed to exit through the sallyport until they have their diploma in hand. 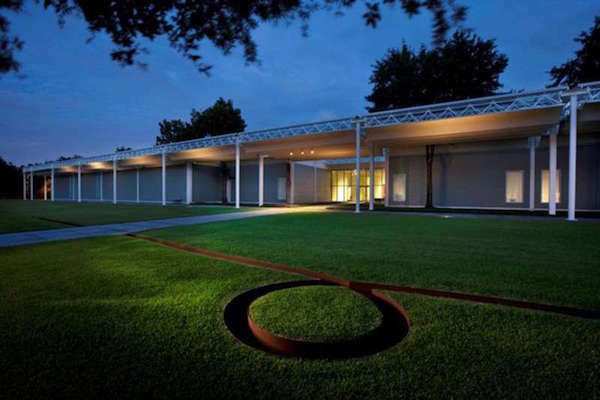 11 – The Menil Collection museum building (photo below), designed by Renzo Piano, was completed in 1987. It and the park it sits in are a calm island in our frenetic city. 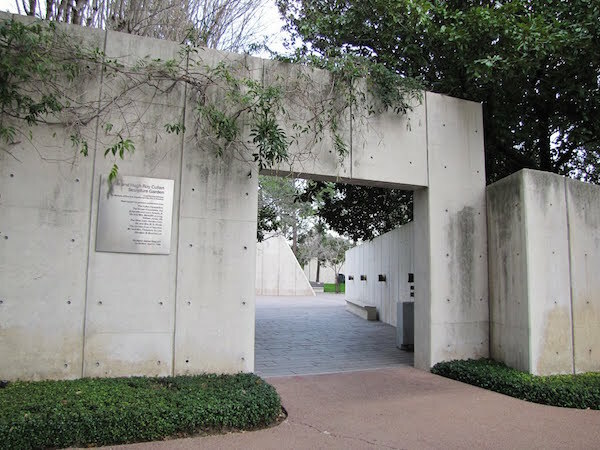 12 – Isamu Noguchi’s Cullen Sculpture Garden (photo below), which sat between the old Glassell art school and Museum of Fine Arts, Houston, is full of remarkable sculptures, including work by Ellsworth Kelly, Henri Matisse, Joan Miro, Pablo Picasso and Louise Bourgeois. Alas, the entire MFAH campus is currently being redeveloped, so anticipate construction and traffic congestion. 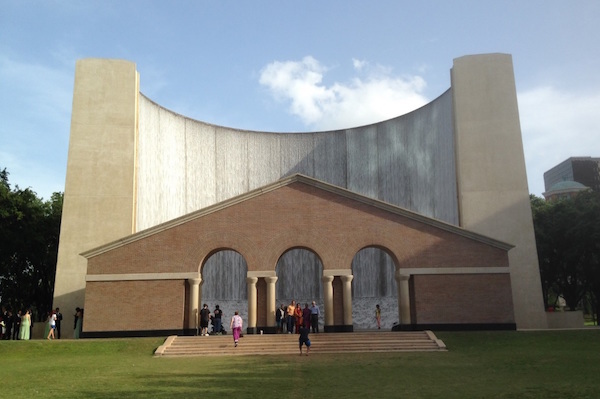 13 – Gerald D. Hines Waterwall (photo below), a 64-foot-tall semi-circular fountain, is thrilling to visit at night. Stand inside, surrounded by 11,000 gallons-per-minute of rushing water. Note also the nearby Philip Johnson-designed Williams Tower. 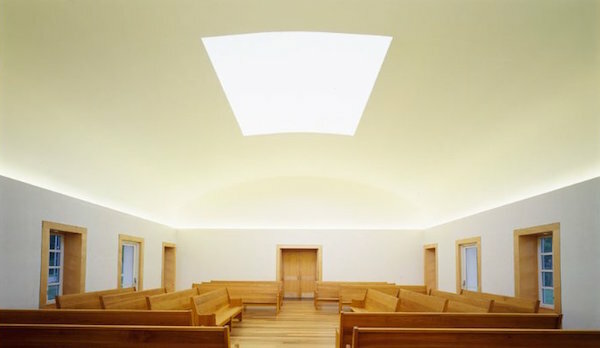 14 – The Quakers’ Live Oak Meeting House (photo below) is the conception of light artist James Turrell. (The architect is Leslie Elkins.) Watching the changing light of dawn or desk through the open ceiling will give you a crook in your neck — and a life-long memory. 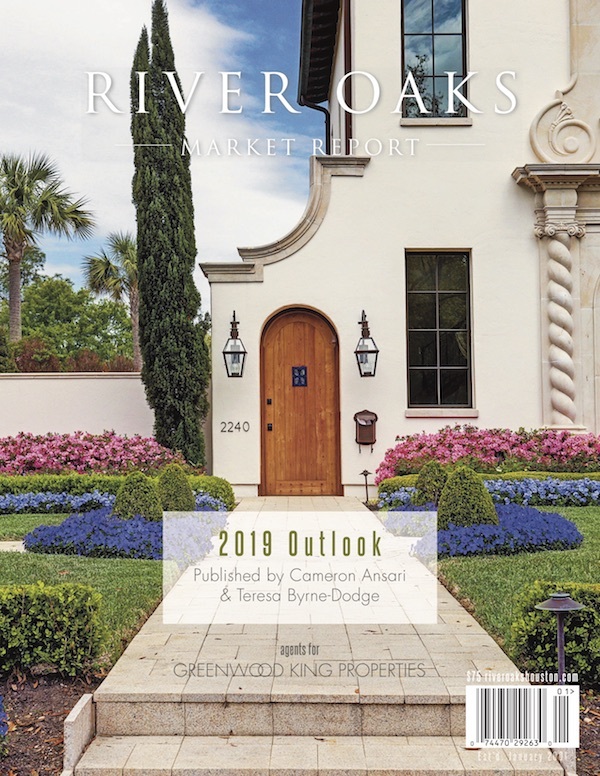 15 – In a city notorious for scraping away the old to make room for the new, Glenwood Cemetery (photo below) may be one of the few places where our community’s history is reverently gathered and gently celebrated. You can read the stories of some of the people buried in the stunningly beautiful Glenwood Cemetery here.